This is the Crystal Coast as it was meant to be experienced: A peaceful setting – minutes from the beach and a short drive from excitement—and a full offering of golf resort amenities so that fun and relaxation are never far away. After a day on the beach or greens, sink into soft sofa and armchair. With abundant sunlight and a large flat-screen TV, your living area is the perfect setting for plotting your day over coffee or kicking back for movie night. Heat up restaurant leftovers or enjoy full-fledged feasts! The kitchen has all appliances, including a dishwasher for simple cleanup and coffee maker for starting your mornings off right. A pass-through into the living area makes it easy to serve drinks before heading to the onsite restaurant. Or longer over evening meals at home at a dining table for six. 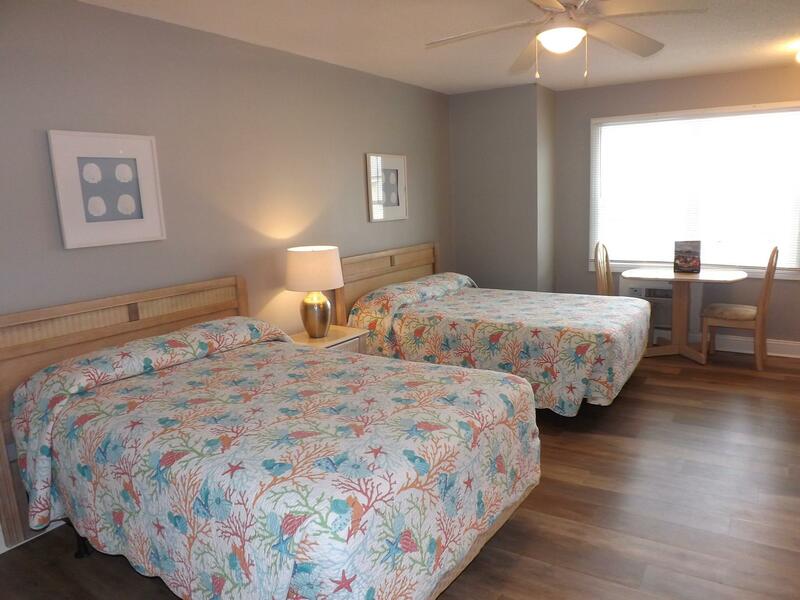 Two bedrooms each boast two queen-size or double beds to sleep eight guests total, and each have their own flat-screen TVs and en-suite bathrooms with walk-in showers. An ideal setup for groups of golfers or family trips! Choose the master and you’ll also be treated to a kitchenette, sunny nook with table. Guest rooms offer the in-room jetted tub. 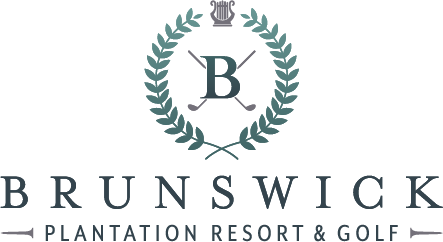 Brunswick Plantation Golf & Resort® features 27 onsite holes with three courses: Azalea, Magnolia, and Dogwood. Afterward, head to Hickory Shaft Bistro (opening this spring!) for lunch or a round of cold drinks. New to the green? Practice your swing on the driving range and receive onsite golf instruction. Or just spend your afternoons relaxing by either of the two outdoor pools, then reunite with the golfers for dinner at one of two additional onsite restaurants. a private reception at the Champions Grille. Discover Brunswick County, a quiet haven on the Carolina Coast that’s just a stone’s throw from all the reasons you came here. Calabash, NC, is home to famous Calabash-style seafood, and you’ll have mouthwatering options for dining in every direction—many nearby restaurants serve up seafood caught that day. You’re so close to some of the area’s most popular hotspots, but you’ll feel a world away. Dip your toes in the water or catch sight of breathtaking displays of color just minutes away at Sunset Beach. 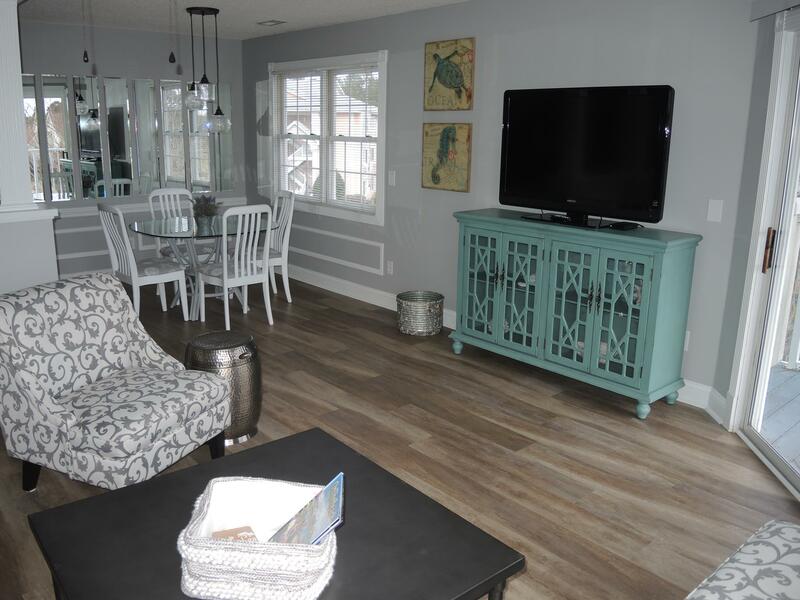 When you’re ready to venture out, find an array of shopping at Barefoot Landing (25 minutes away) and endless entertainment at Broadway on the Beach in Myrtle Beach (35 minutes away). And if you’ve come to play, in addition to our three onsite courses, you’ll find over 35 courses (including several award winners) within a 25-minute drive. 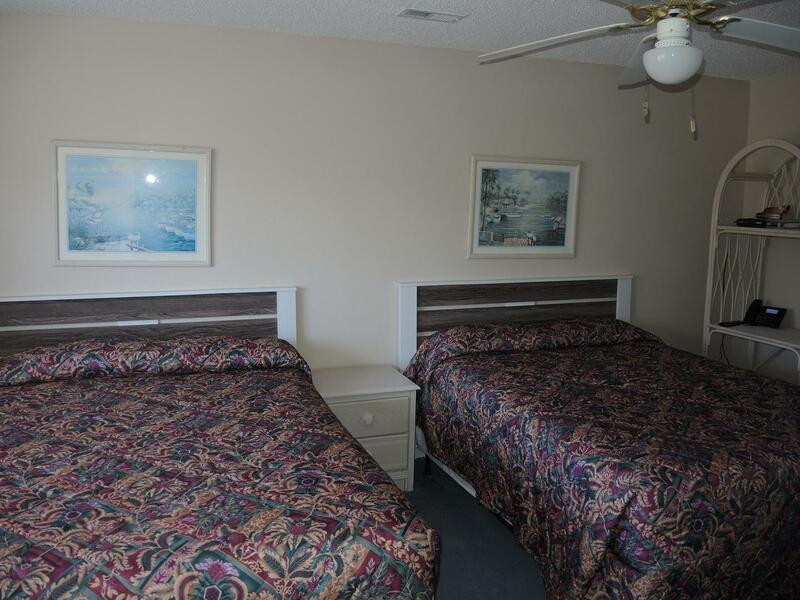 Disclaimer: some rooms vary in décor, furnishings, seating and bed sizes. Feel free to ask before booking to make sure your room meets your exact needs.